I have never tried skirt steak, only flank steak. Red meat is fine, I think, especially the lean cuts. Your photo makes me want to return to that beautiful part of the country. You live in such a beautiful place and this is a beautiful dish. I don’t need help being a carnivore, but this would definitely encourage my habit. A fabulous combination! I love skirt steak. Skirt used to be one of those delicious cheap cuts. Not anymore :(. 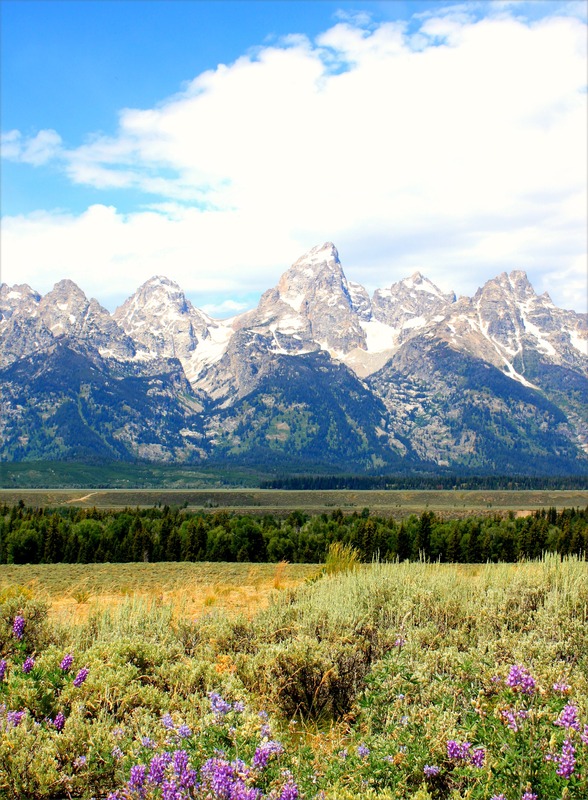 Love your photo of Grand Teton. So beautiful! My brother works at a camp in the Grand Teton’s in the summers. I am hope to send my son there in a couple of years when he is old enough. I have never been myself and look forward to going some day. I really love making skirt steak, but I love how chimichurri sauce adds so much flavor to a piece of beef. I definitely need to make it more. This is a great steak. I will certainly prepare my own. 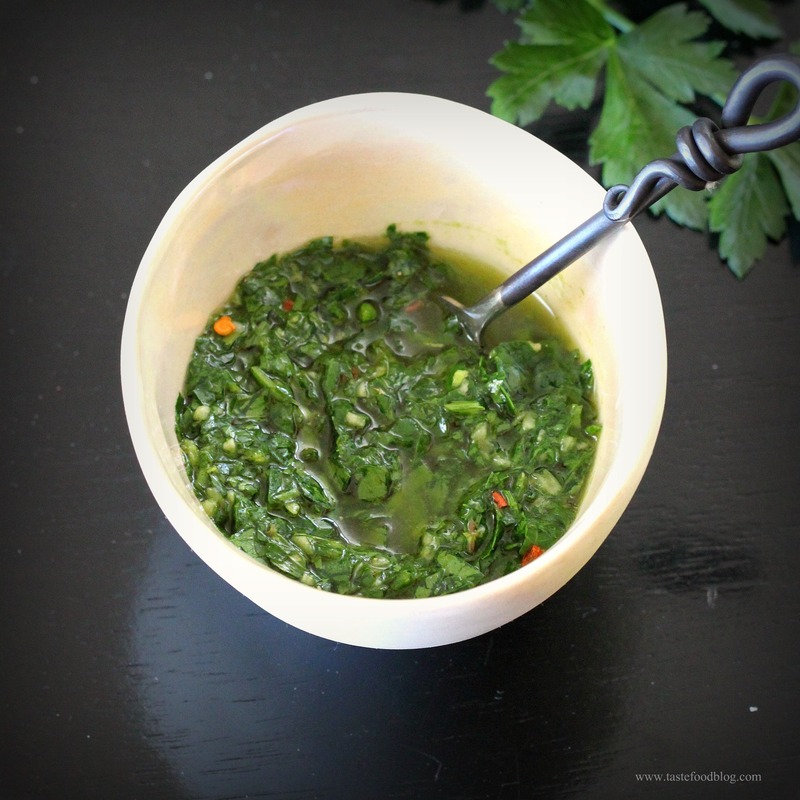 Beautiful looking chimichurri sauce..pairs so well with the grilled meat! Love the pictures! I love Chimichuri sauce. We were in Alberta in June, and you’re absolutely right about becoming huge carnivores – it MUST be the air! I love love love Chimichuri, your’s looks delicious!!! Great steak. i love the awesome pictures…. A beautiful part of the country that I have yet to see. My husband did a motorcycle trip there and said that it was absolutely beautiful. 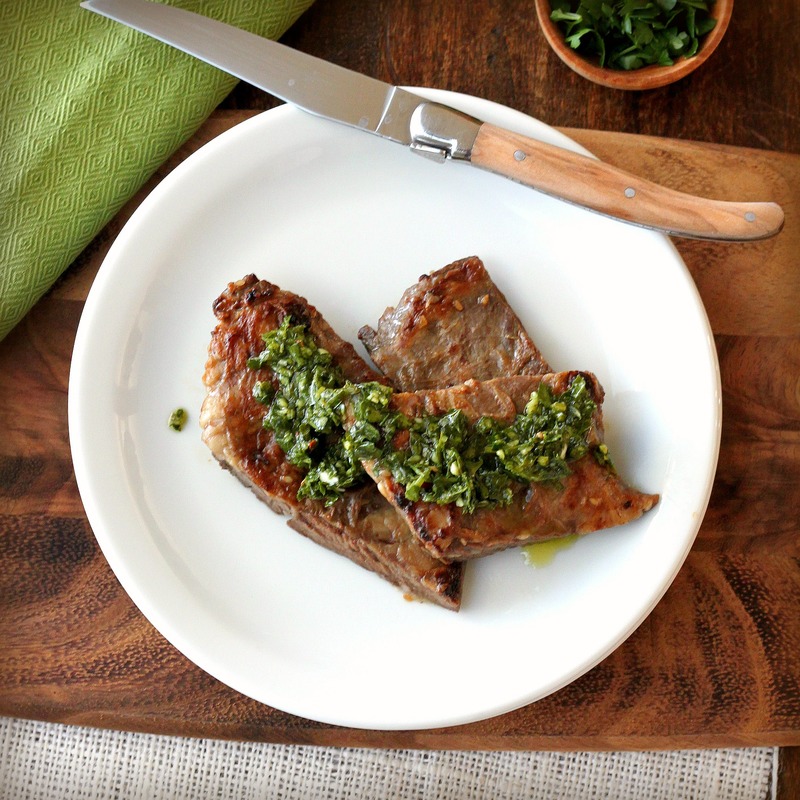 Chimichurri sauce is a favorite of mine…good on chicken as well as beef. I am saving this sauce to give a try. It would taste good with anything .. even as a dip! How can you resist meat in that situation! I’m with you all the way. 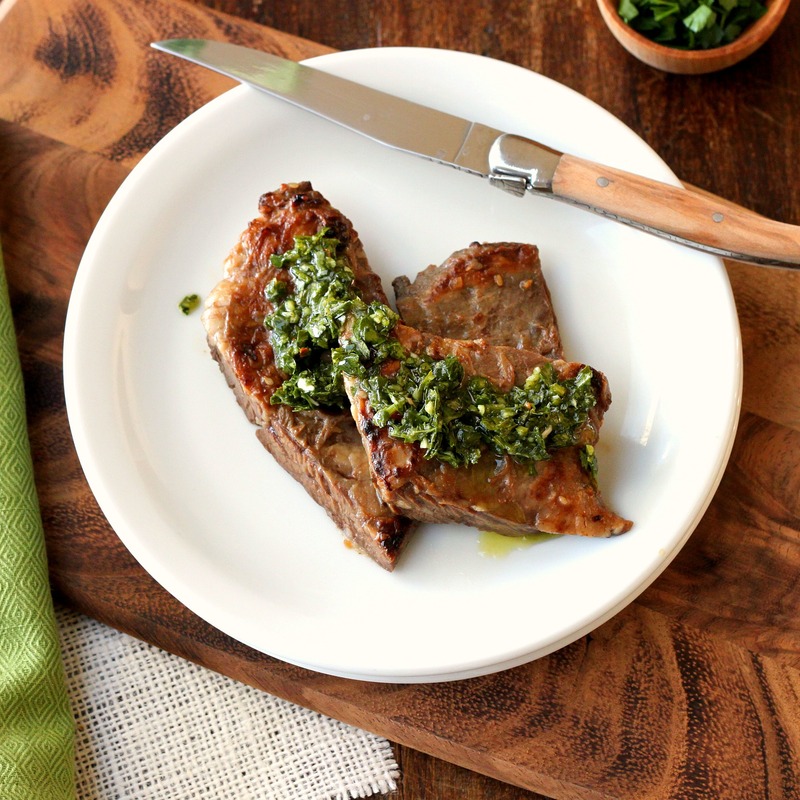 I love chimichurri sauce and can’t wait to try your recipe! !